Third parties play an important role in the financial services sector. Given the complexity of their operations, organisations are typically unable to provide all required service and business operations themselves on an in-house basis. Or at least they may not be able to do so to the high standards that a third party, which is able to concentrate solely on a small number of services, can provide. With the rapid emergence of new technologies aligned with greater customer expectations, the need for third parties continues to increase. Given the importance placed upon third parties, it is no surprise that they are increasingly relied upon to provide critical components of a financial institution’s range of services. However, with this reliance comes added risk to an organisation given the shared responsibility for services and transfer of data. 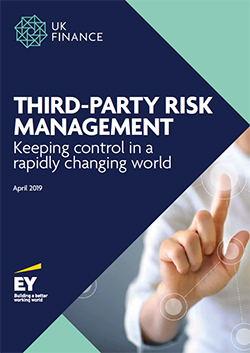 As a result, there is an increasing need for oversight and governance of third parties to manage those risks and, where it is deemed appropriate, to mitigate them as far as possible.